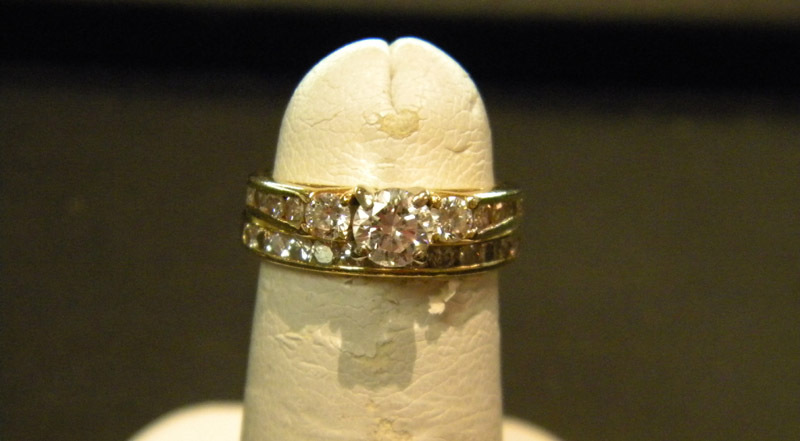 The wish: To create a ring using this clientâ€™s original diamond and diamonds inherited from family that mirrors the original engagement ring and uses all the stones. 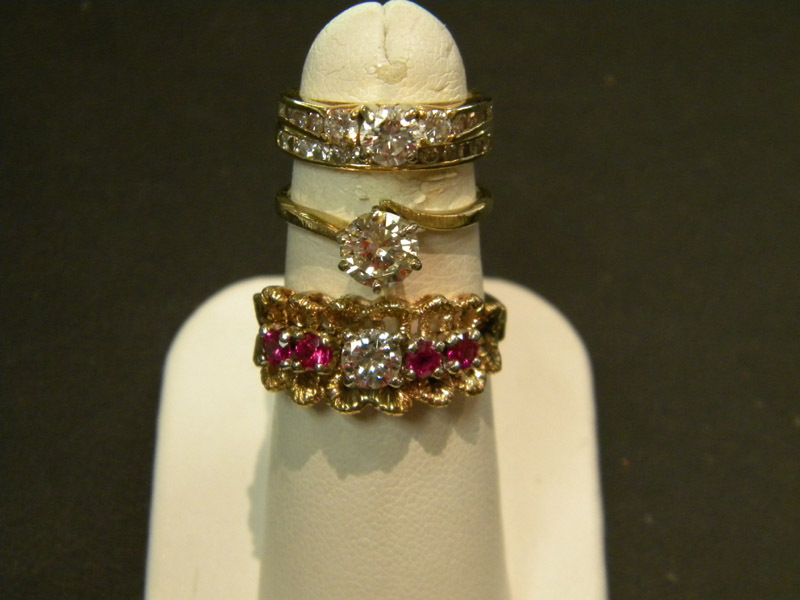 This client had her original engagement ring ( pictured with wedding ring at top), an inherited solitaire diamond ring and a diamond, also inherited, from a diamond and ruby ring. Both are pictured below original set. 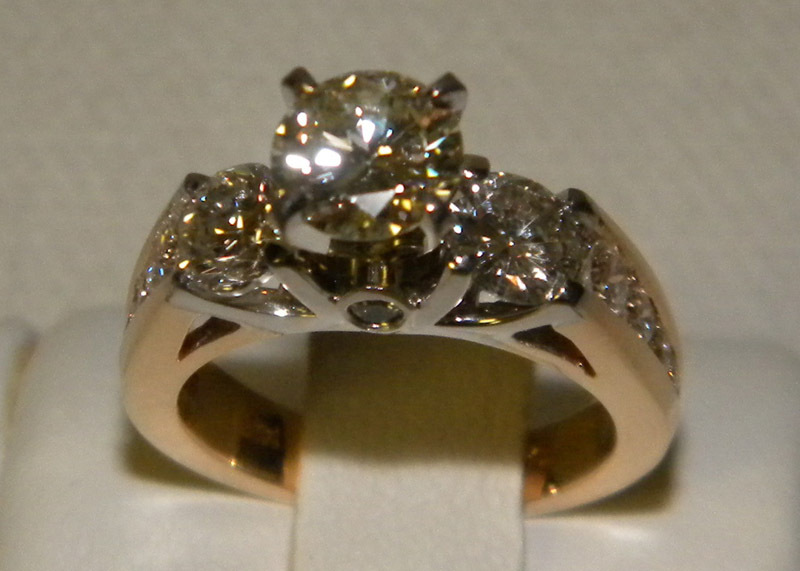 We created her new ring by utilizing the same beautiful design of her original ring, making the mold to exactly match the sizes of the diamonds from all rings. 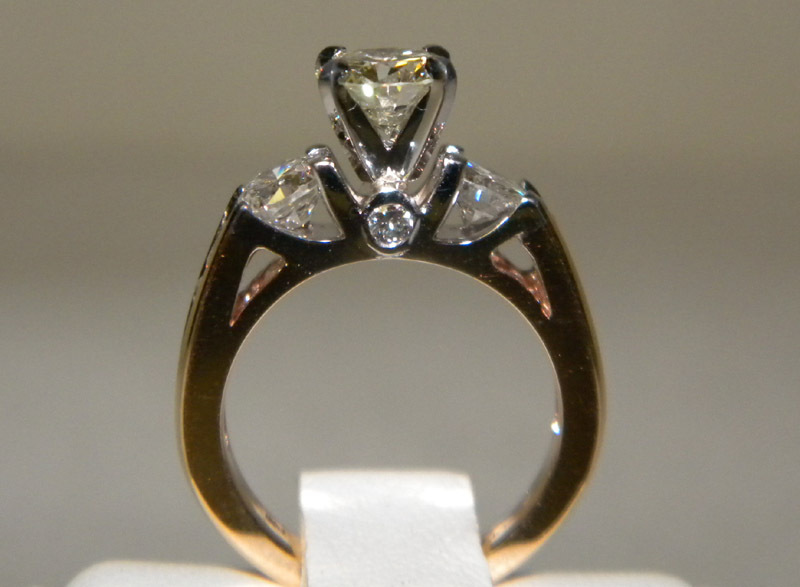 Her original diamond and the diamond from the ruby and diamond ring matched in size, making them perfect as the larger side diamonds in this design. 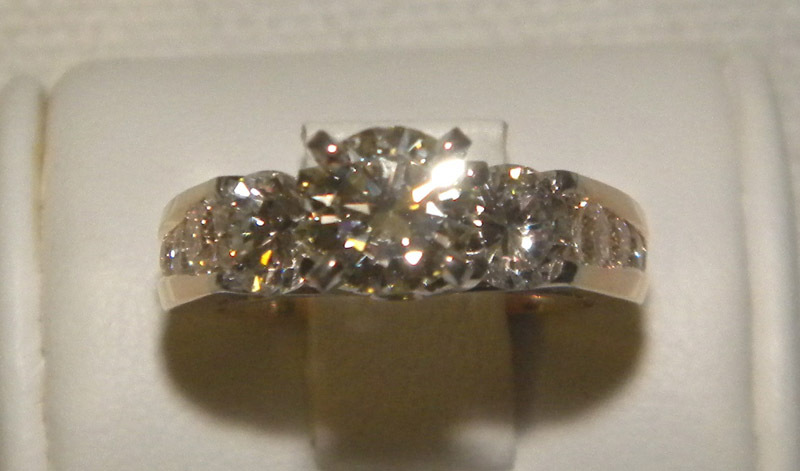 The diamond from the solitaire became the new center diamond and all of the side diamonds from her original ring filled the channels, with the two smallest tucked beneath the center head. 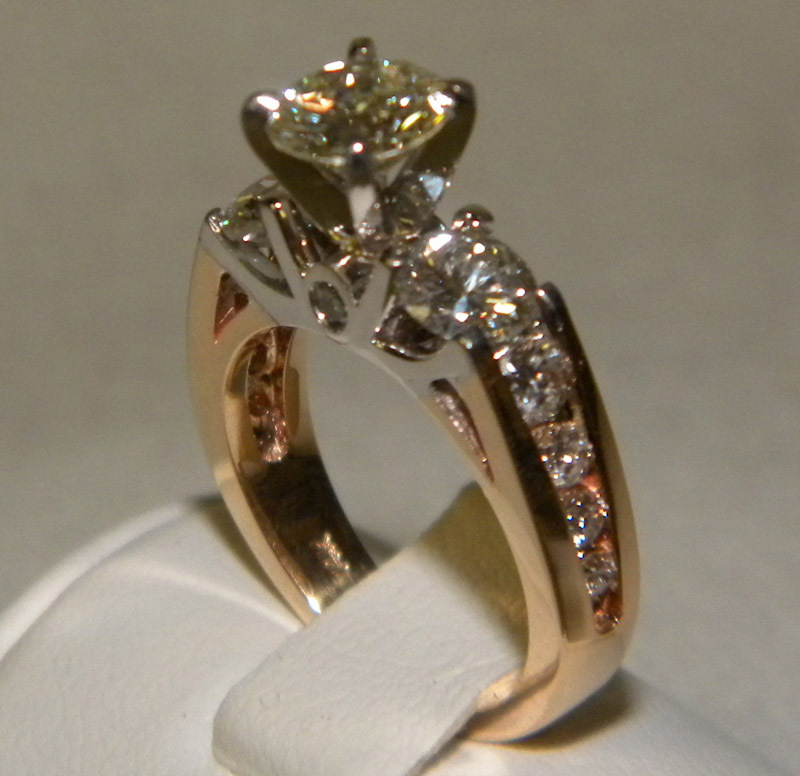 Her most important goal was to maintain the style of her original, elegant engagement ring for their 25th Anniversary, â€œmarryingâ€� style and sentiment.